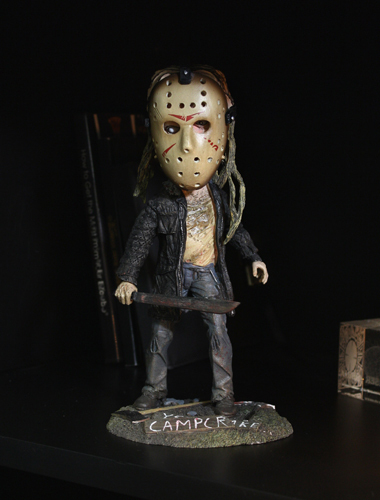 This addition to our popular HeadKnocker brand brings you Jason from the 2009 re-imagining of Friday the 13th! Somehow even this horror great doesn’t look so terrifying in bobble head form. The hockey-masked man is cast in resin and then hand painted for incredible detail. Almost 8″ tall.